Lose weight fast, safely and easily. We offer weight loss products, protein diet foods, diet foods, weight loss supplements, diet plans, and diet supplements that will help you lose your weight and keep it off. 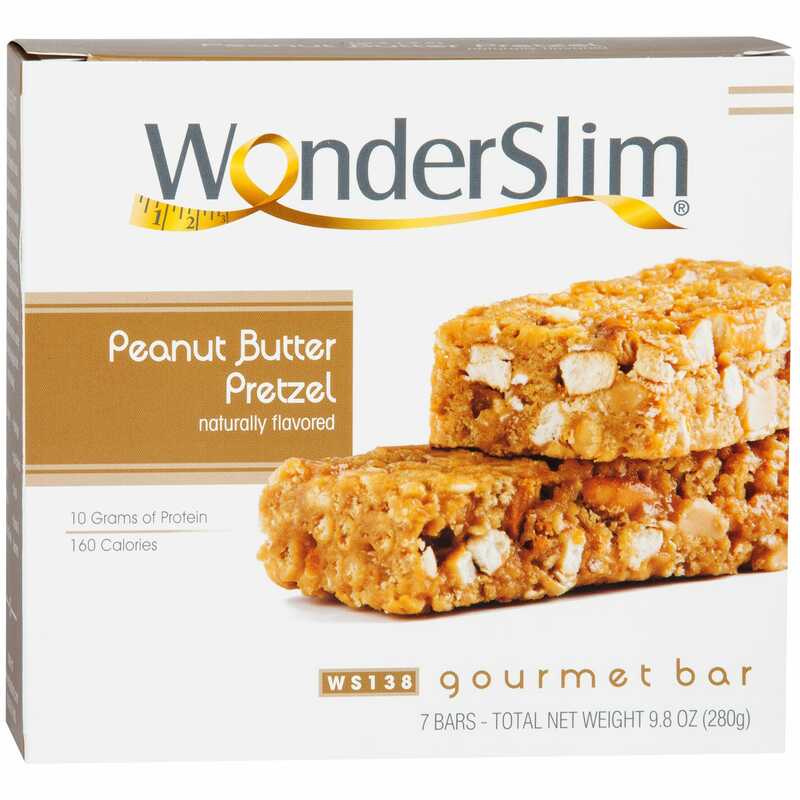 Our diet products come with our unconditional money back guarantee. 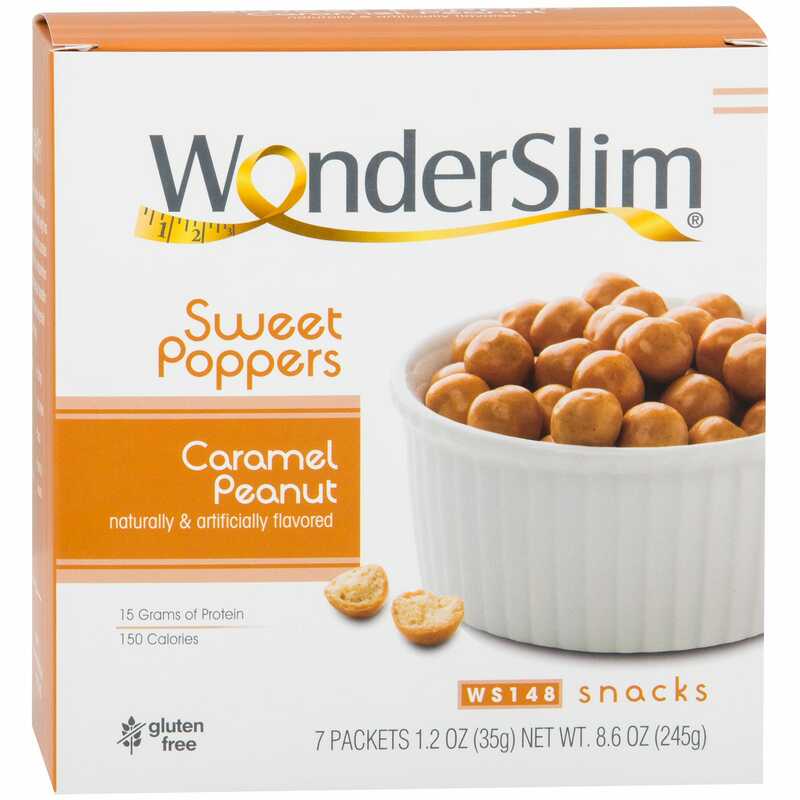 Shop for weight loss products - Wonderslim, Vitamins, Bariatric Vitamins, Protein Diet Shakes, Diet Drinks, Diet Bars, Diet Soups, Diet Puddings, Diet Breakfast Items, ProtiDiet. Read about the benefits of protein to weight loss! Wonderlife's B-Complex 100 is a balanced formula that provides 100 mg/100 mcg of the eight essential B-Vitamins needed for proper metabolism function. Easy-to-digest capsules contain all the essential B-vitamins in substantial doses plus the accessory B-vitamins choline, inositol, and PABA. B-Complex 100 increases the flow of fat, proteins and carbohydrates through the body while converting them into energy. B-Complex 100 does not only promote physical health, but also supports a positive mental state as well. B-Vitamins supply energy to the immune and nervous system which results in quicker mental functioning. B-Complex 100 also helps to fight stress and depression by allowing particular triggers to move through the nervous system. Niacin provides dietary support for a healthy blood lipid profile. Folic Acid plays a role in the maintenance of normal homocysteine levels, supporting the cardiovascular system. * Adequate folate in a healthful diet may reduce a woman's risk of having a child with a brain or spinal cord defect. Biotin functions as a coenzyme in metabolism, is required for fatty acid synthesis and provides dietary support for healthy nails and hair. Plus B factors, choline, inositol and PABA that have similar properties as B-vitamins. 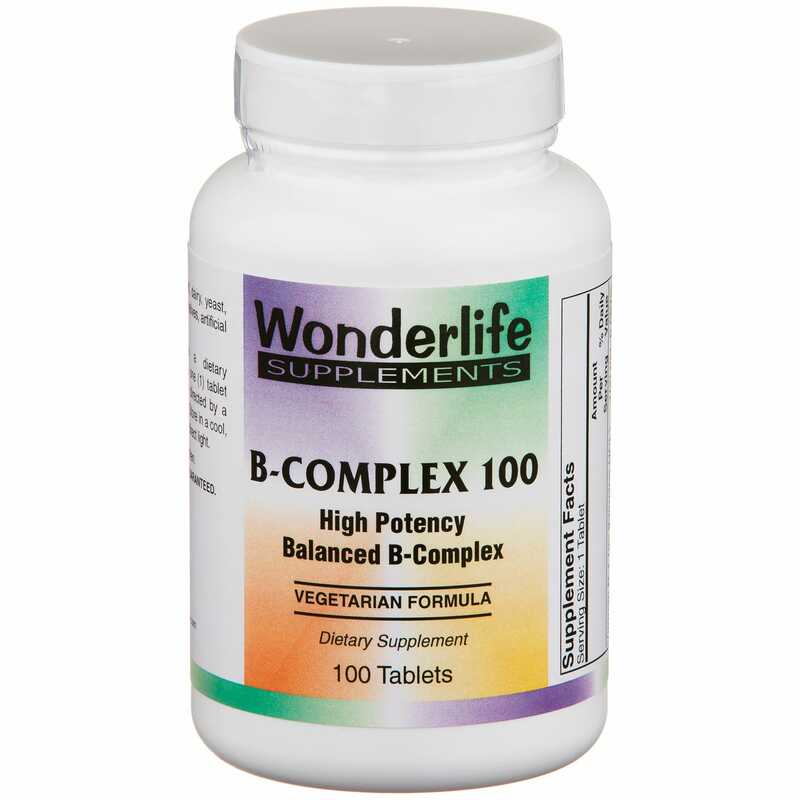 We hope our commitment to helping you achieve optimum health is evident in our decision to offer a Wonderlife brand B-Complex 100 supplement that meets the highest standards of quality. We take pride in featuring products with the finest ingredients in the world, products which are laboratory tested and scientifically formulated for optimum support of your health. For these reasons, we believe that our Wonderlife brand of supplements has few rivals in the marketplace. SATISFACTION WEIGHT LOSS GUARANTEED or your MONEY BACK - GUARANTEED!!! Are you looking to lose weight rapidly? You may not or perhaps should not lose weight too quickly as this can be dangerous. If you lose weight too fast, it may be that you are not getting your recommended daily servings of the required food groups, meaning you may not be meeting all of your daily nutritional needs. This can lead to damage to your organs if this strict diet is for a prolonged period of time. Your best way to lose weight is with a gradual schedule of eating less calories, eating properly and getting regular exercise. Not to sound too cliche but, for real long term weight loss, it really does have to be a lifestyle change...period. It may not be what you want to hear but, it is the simple truth. If you go on a strict diet and lose weight, you will probably feel great for a short period of time. However, most dieters rebound and go back to their pre-diet weight and many dieters gain even more weight. This may be due to the fact that the dieter felt like they were either starving, lacking something or had nothing to satify any of their cravings. This is why it is very important to not feel depraved of food you love. It doesn't mean that you can eat everything for every craving you experience. Everyone knows that eating a full carton of ice cream is not good. Perhaps as a person looking to lose weight, you can try to make your portions smaller - as a start. The problem with eating sweet and fatty foods is that they are high in calories but, don't tend to fill up our stomachs as much as lower calorie foods. This means that even though you eat some junk food, you may still feel hungry and therefore, eat more. If you fill your stomach with high filler foods such as proteins and fibre (found in protein bars, meats, legumes, vegetables, etc.) you will probably be consuming less calories but, feel fuller so less likely to eat more - hence, consuming less calories overall. The products and the claims made about specific products on or through this site have not been evaluated by RapidDiet.net or the Food and Drug Administration and are not approved to diagnose, treat, cure or prevent disease. The information provided on this site is for informational purposes only and is not intended as a substitute for advice from your physician or other health care professional or any information contained on any product label or packaging. You should not use the information on this site for diagnosis or treatment of any health problem or for prescription of any medication or other treatment. You should consult with a healthcare professional before starting any diet, exercise or supplementation program, before taking any medication, or if you have or suspect you might have a health problem.